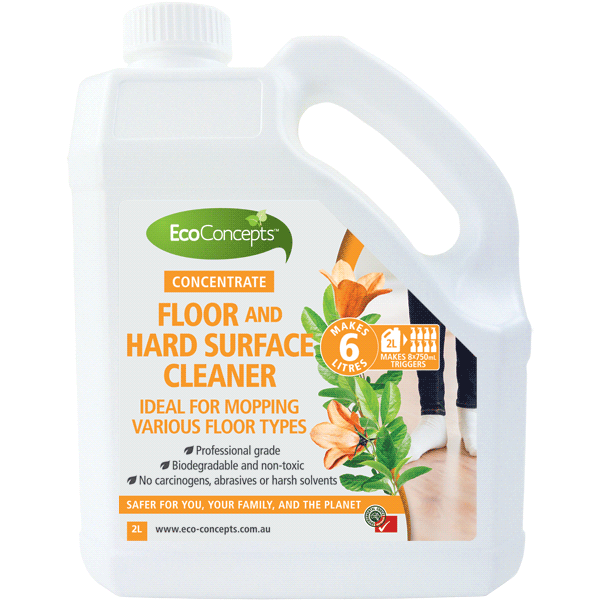 EcoConcepts Floor and Hard Surface Cleaner is a pH-neutral, low-foaming cleaner that’s certified for safer use. 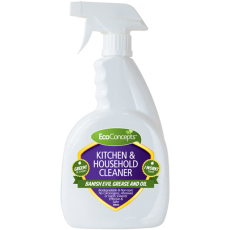 It is a highly-effective and versatile cleaner with a safer and gentler cleaning action that removes oils, hydrocarbons, greases and heavy soiling from floors, walls and other hard washable surfaces. 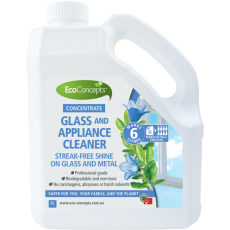 It doesn’t leave behind a film or haze, so no rinsing is necessary. 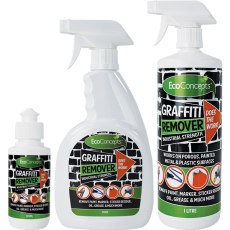 Safer to use on stone, concrete, resilient tile, vinyl, terrazzo, quarry or ceramic tile, plastic, rubber, painted or sealed surfaces, and any washable surface. Will not degrade high-polish floor finishes. 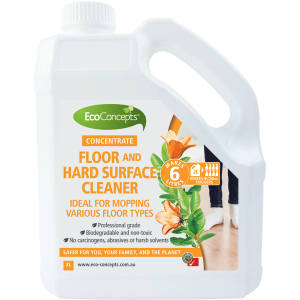 Spray onto floor or hard surface then mop or wipe clean. Test in an inconspicuous area first.